While other parts of LA are steeped in movie history, the area of Silver Lake is soaked in architectural tradition. Many famous architects made this land their home, setting the bar for beautiful homes in the Los Angeles real estate market. This region is perfect for someone looking to move and settle down to begin their family, or someone looking to invest in a beautiful work of art that can be lived in. Houses located within the Silver Lake territory are a bit more expensive than your average LA home. A three or more bedroom home can start out around $410,000 at the lowest price point, and range upwards of more than $1,600,000 for the more stylish homes. Many of the homes here were designed by famous architects such as the Modernist Richard Neutra. Antonio Moreno, a silent film star turned designer, also developed houses in what is now known as the Moreno Highlands development of Silver Lake. 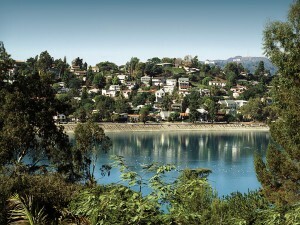 The brilliant architecture is not the only thing that can draw a family to Silver Lake. The LA Library Association has recently built a new library, bringing a new source for reading to the children and families of Silver Lake. There are also many schools available for your children to attend, including five elementary schools, one middle school, and one high school. Silver Lake has a wonderfully deep historical connection with architecture. Famous architects, such as Richard Neutra, still have office buildings still standing and in business for Silver Lake. Thanks to its rich architectural tradition, Silver Lake is now home to homes that have more architectural significance than any other region of LA, making its available homes some of the most interesting that LA has to offer. Not only does this area offer some of the most beautiful homes you can find in LA; it is also set in one of the prime locations. This means that it is no more than 10 minutes away from Downtown LA and the famous Santa Monica Boulevard. As with most regions of LA, Silver Lake has had its share of celebrities live within its beautiful borders. Some of the actors from the early film days who resided in this area include: Laurel and Hardy, Gloria Swanson, and Antonio Moreno. In the more modern times, homes in Silver Lake have been owned by actors such as Christina Ricci and Danny Glover. If this eye-catching stretch of land sounds like it is somewhere you would like to settle down and start your family, or take care of the one you have, don’t hesitate to give a Silver Lake real estate agent a call at 213 375 8738 or contact us online. We at Real Estate Unlimited Agency appreciate your time and interest in our company.